The Democratic Party regained control of the House of Representatives in the 2018 midterm elections, with 30 House seats so far flipping from Republican to Democrat. As of now, Democrats will control 227 House seats compared to 197 for Republicans, with 11 races yet to be called or conceded. FiveThirtyEight’s deluxe House forecast — which includes everything from polls, district fundamentals, fundraising, and candidate quality — gave the Democrats a six in seven chance of taking back the House, predicting they would gain an average of 36 seats. The results available so far show that 14 of these swing districts flipped from Republican to Democrat, six stayed in Republican hands, one flipped from Democrat to Republican, and seven are still too close to call. 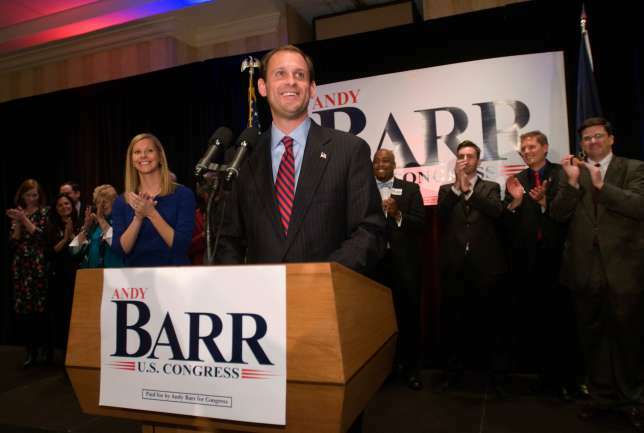 Kentucky’s 6th district: Republican Andy Barr wins re-election with 50.9% of the vote compared to Democrat Amy McGrath 47.9%. 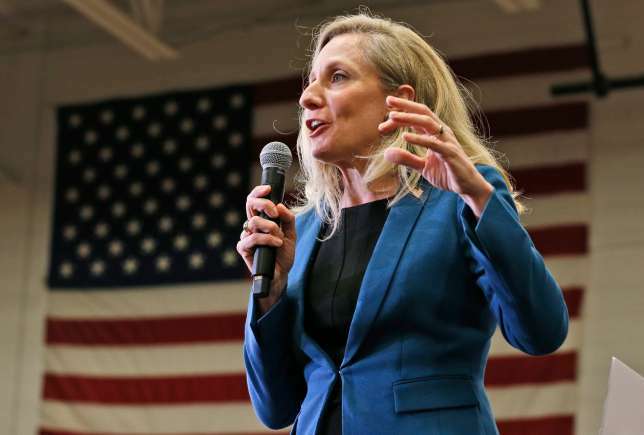 Her race gained national attention after one of her campaign ads detailing the barriers she overcame as a woman in the Marines went viral, and she raised $6.9 million in individual donations compared to Barr’s $2.5 million. The district: The 6th occupies a large portion of central Kentucky, including the city and suburbs of Lexington. It’s Cook Partisan Lean is R+9, and Trump carried the district by 15 points in 2016. Virginia’s 5th congressional district: Republican Denver Riggleman beats Democrat Leslie Cockburn 53% to 47%. 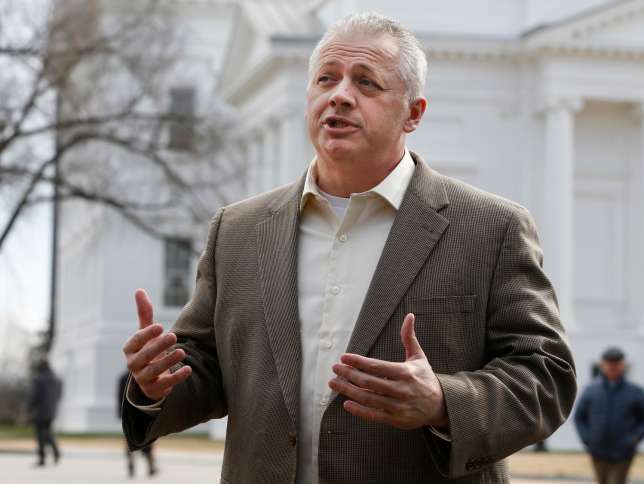 Republican candidate for Virginia governor, Denver Riggleman, speaks during a news conference at the Capitol in Richmond, Va., Tuesday, Jan. 31, 2017. The district: Virginia’s 5th district occupies a large swatch of central Virginia, including the city of Charlottesville. Its Cook Political Rating is R+6. Florida’s 15th district: Republican Ross Spano defeats Democratic opponent Kristen Carlson 53% to 47%. 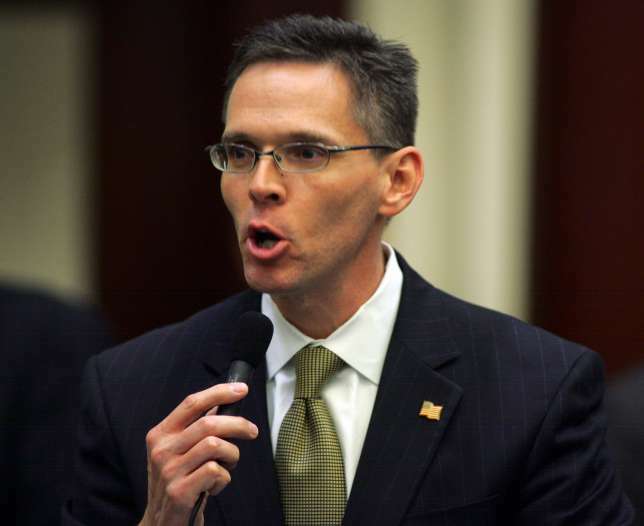 Rep. Ross Spano, R-Dover, speaks against the parental trigger bill on the floor of the House of Representatives Thursday, April 4, 2013, at the Capitol in Tallahassee, Fla. The candidates: After the district’s Republican congressman decided not to run for re-election, State Representative Ross Spano won the primary to challenge former prosecutor and attorney Kristen Carlson. While Spano defeated Carlson, she outraised him by more than a 3-to-1 margin. The district: Florida’s 15th district, created after a 2015 redistricting, includes several Tampa suburbs including Brandon and Lakeland, and stretches inland towards the city of Orlando. Predictions and polls: FiveThirtyEight rated the race as lean Republican the day of the election, giving Spano a five in eight chance of winning. An Oct. 16-19 Siena College/NYT poll showed Spano and Carlson in a dead heat, with 43% of voters expressing support for each. The candidates: Both Republican incumbent Scott Taylor and Democratic challenger Elaine Luria are veterans of the US Navy. Luria defeated Taylor in his quest for a 2nd term, and is making her political debut after retiring as a naval commander in 2017. The district: Virginia’s 2nd district is located on the state’s Eastern coast, and includes the cities of Virginia Beach and Norfolk, which is home to a major US Naval base. It’s Cook PVI is R+3, and while Democratic Gov. Ralph Northam carried the district in 2017, Trump carried it by 3 points in 2016. Predictions and polls: FiveThirtyEight cast the race as a toss-up the day of the election. A Nov. 2-4 Change Research poll showed Taylor and Luria in a dead heat, while an Oct. 18-22 Siena/NYT Upshot poll showed Taylor leading Luria by 3 points. Florida’s 26th district: Democrat Debbie Mucrasel-Powell defeated incumbent Republican Carlos Curbelo 51% to 49%. Florida Democratic congressional candidate Debbie Mucarsel-Powell at a campaign event in Coral Gables, Fla. The candidates: Rep. Carlos Curbelo is a rare moderate Republican congressman who has previously bucked his party on issues of climate change, immigration, and tax reform, and hasn’t shied away from criticizing President Donald Trump. 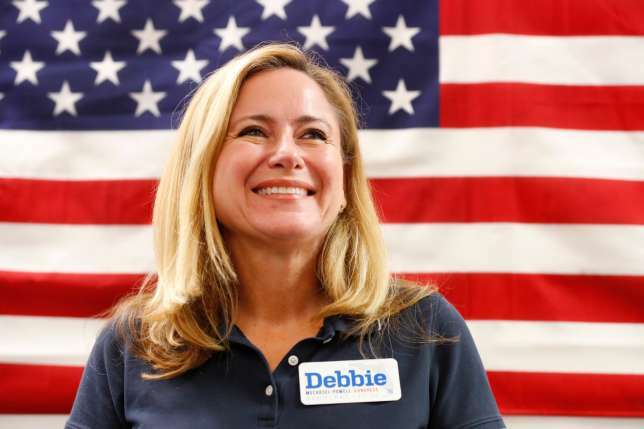 His Democratic opponent Debbie Mucrasel-Powell is a South Florida native who has spent her career working in local nonprofits. She had not previously held elected office. The district: Florida’s 26th includes some of Miami-Dade County and all of the Florida Keys at the very southernmost tip of the state. Its Cook PVI is D+6, and it re-elected Curbelo in 2016 despite being carried by Hillary Clinton by a margin of 16 points, which made it a prime pickup opportunity for Democrats. Predictions and polls: FiveThirtyEight rated the race as a tossup the day of the election, giving both candidates a one in two chance of winning. An Oct. 25-28 Siena College/NYT poll showed Mucrasel-Powell leading by one point. Texas’ 32nd district: Democrat Collin Allred defeated Republican Rep. Pete Sessions 52% to 46%. 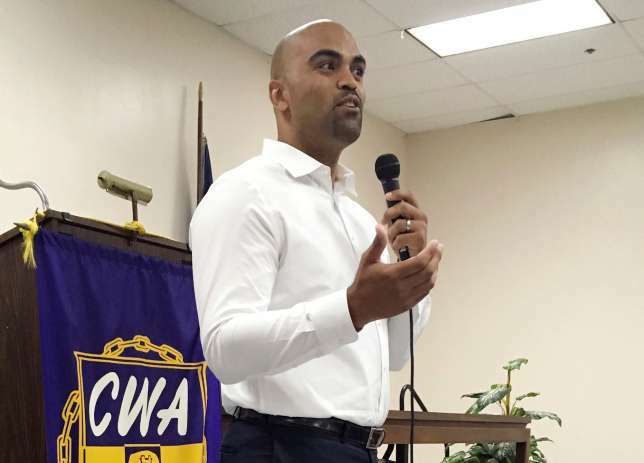 Colin Allred, the Democratic congressional candidate in Texas’ 32nd Congressional District, addresses a town hall in Dallas. The candidates: Rep. Pete Sessions is a staunch conservative with long-standing connections to core Republican donors, but his alignment with Trump has caused friction with voters in the district Clinton won in 2016. Democratic civil rights lawyer Colin Allred is a former professional football player and Obama administration alumnus, from whom he received an early endorsement. The district: The 32nd district is located in the northeast part of the state, and includes part of the city of Dallas as well as many of its suburbs. Predictions and polls: FiveThirtyEight rated the race as a toss-up the day before the election. An Oct. 29-Nov. 4 Siena College/NYT poll showed Allred ahead by four points. Illinois’ 6th district: Democrat Sean Casten defeated Republican Pete Roskam 53% to 47%. The district: The 6th district is located in the densely populated Chicago suburbs, and includes the city of Naperville. It’s mostly white and relatively wealthy. Although the 6th district has a Cook PVI of R+2 and has been represented by a Republican since 1973, Hillary Clinton carried district by seven points in 2016. 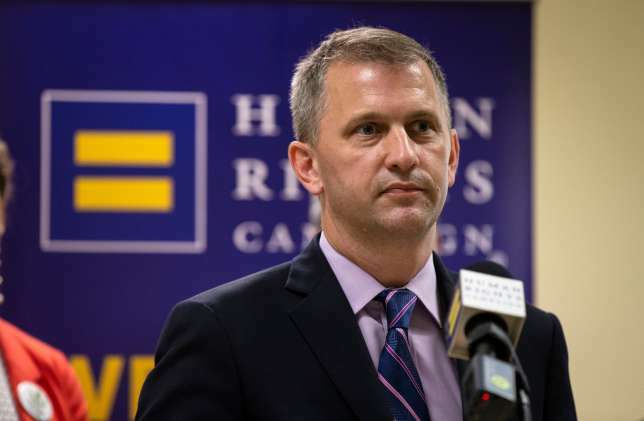 Predictions and polls: FiveThirtyEight designated the race as “lean Democratic,” giving Casten a five in eight chance of winning. An October 20-26 NYT/Siena College poll shows Casten leading Roskam by two points. Delgado’s past as a rapper has been a major talking point of Faso’s campaign, which has identified lyrics touching on race and capitalism as “offensive.” But Delgado successfully beat back those attacks to flip the 19th. The district: The 19th district includes the Hudson Valley and Catskills regions in the easternmost part of the state. The area has grown slightly more Democratic in the past few years, but the Cook Report lists its partisan lean as R+2. 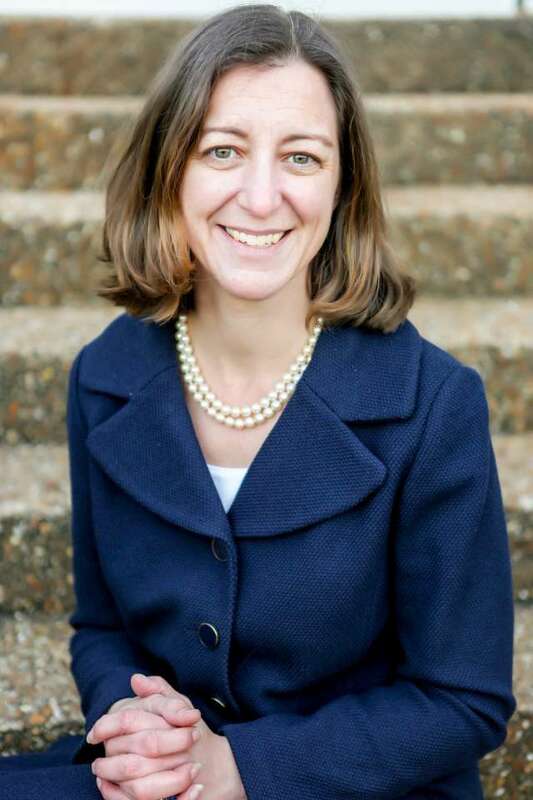 Texas’ 7th district: Democrat Lizzie Pannill Fletcher beat Republican John Culberson 52% to 48%. Predictions & polls: FiveThirtyEight rated the race as a toss-up the day of the election. An October 19-25 NYT/Siena College poll shows Culberson leading Pannill Fletcher by just 1 point. Kansas Republican House candidate Steve Watkins addresses the crowd during a campaign rally in Topeka, Kan. The candidates: Former US Army Airborne Ranger and federal defense contractor Steve Watkins seemingly came out of nowhere to win a crowded Republican primary with just 22% of the vote, largely due to hundreds of thousands of dollars poured into the race by his father. The district: Kansas’ 2nd district includes most of the Eastern part of the state, and is largely rural and agricultural aside from the capital city of Topeka. The 2nd district is one of the most solidly Republican of FiveThirtyEight’s toss-ups. It has an R+10 partisan lean and was carried by Trump in the 2016 election by a whopping 19 points. Predictions and polls: The race was rated lean Democratic on the day of the election, giving Davis a 5 in 8 chance of winning. 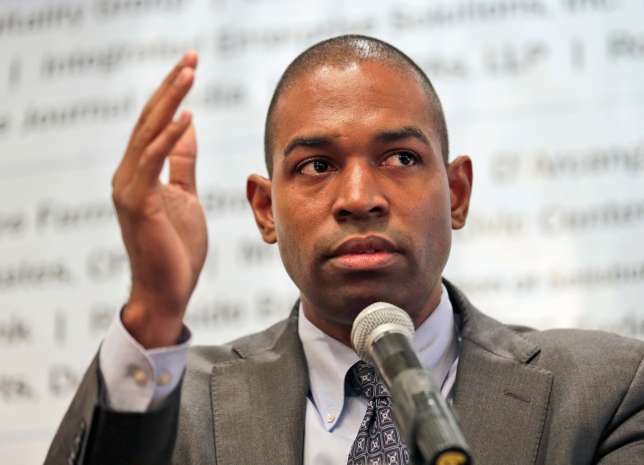 An October 27-31 NYT/Siena College poll showed Davis leading Watkins by 4 points, 41% to 37%. The candidates: Republican Rep. David Brat has served Virginia’s 7th since 2014, when the then-unknown economics professor delivered a shocking victory over former House majority leader, Eric Cantor, that was powered by Tea Party-oriented grassroots campaigning. The district: The 7th district stretches from the Richmond area to the exurbs outside Washington. While Trump carried the 7th in 2016, which the Cook Report cast as R+6, Democrats sought to capitalize on a growing population of millennials in the Richmond suburbs to re-take the district. The candidates: Rep. David Young, a former staffer for Sen. Chuck Grassley, served 2 terms in the House of Representatives. 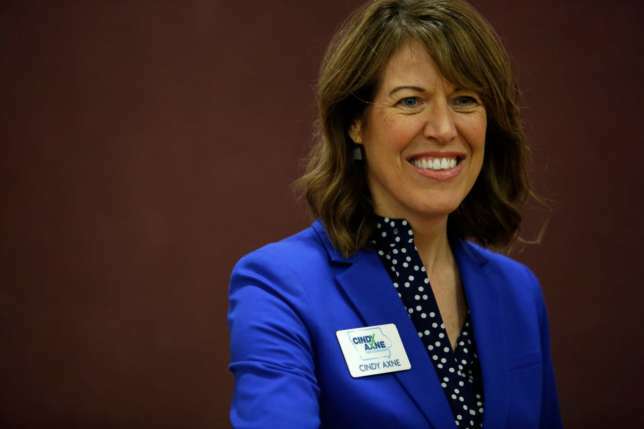 The Democrat who defeated him, Cindy Axne, is a small-business owner and former Iowa state official who led a successful effort to make all-day kindergarten available to every student in the West Des Moines public school system. The district: The 3rd district covers a chunk of Southwestern Iowa, including the capital city of Des Moines. The 3rd district’s Cook partisan lean is R+1, and Trump carried the district by just four percentage points over Hillary Clinton in 2016. Predictions and polls: FiveThirtyEight rated the race as ‘lean Democratic’, giving Axne a seven in ten chance of winning. An October 25-27 poll from Siena College/The New York Times had Axne leading Young by two points. The candidates: Republican Rep. Mike Bishop has represented Michigan’s 8th district in Congress since 2015. He previously served in the Michigan state legislature. 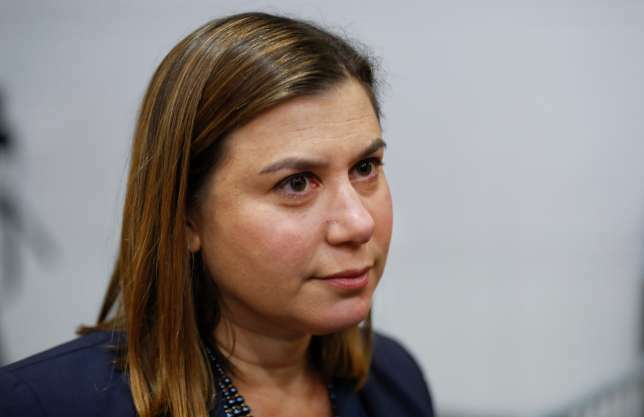 Democrat Elissa Slotkin served three tours of duty in the Iraq War as a Middle East analyst for the CIA, and went on to serve on the national security staffs of Presidents George Bush and Barack Obama, as well as in policy roles at the Pentagon. The district: Michigan’s 8th district stretches from suburban Oakland county to include parts of East Lansing. An R+4 district which Trump solidly carried by 7 points in 2016. While the Oakland County suburbs lean Republican, the western part of the district in East Lansing is decidedly more liberal. Predictions and polls: Michigan’s 8th was rated lean Democratic the day of the election, with FiveThirtyEight giving Slotkin a seven in ten chance of winning. An Oct. 31-Nov. 4th Siena College/NYT poll gave Slotkin a 7-point lead over Bishop. 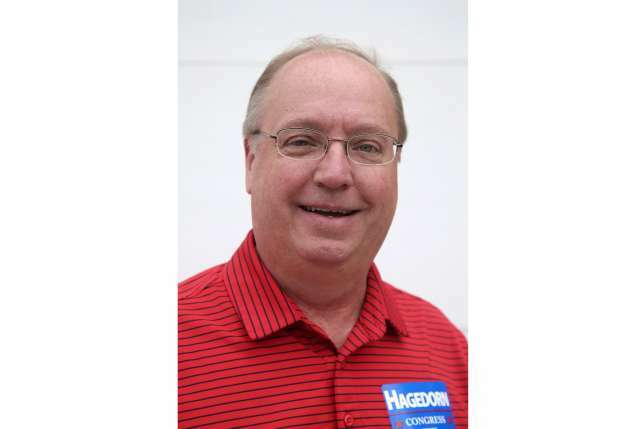 Republican Jim Hagedorn defeated Democrat Dan Feehan in Minnesota’s 1st district. The candidates: Jim Hagedorn has previously worked as a legislative assistant and a congressional liaison to the Financial Management Service and the Bureau of Engraving and Printing. After serving two tours of duty during the Iraq War in the US army, Democrat Dan Feehan worked as a teacher and in the Obama administration as a White House fellow and assistant secretary of defense. The district: The mostly rural 1st district stretches across Southern Minnesota, bordering South Dakota to the West and Wisconsin to the East. The district, rated R+5 by the Cook Political Report, voted for Trump by a stunning 15-point margin in 2016, making it a rare district to vote for Trump but re-elect Democratic House representative Tim Walz, who ran for Governor this year. But Republicans bucked the nationwide Democratic gains and flipped District 1 this year, with Hagedorn winnng by just 0.4 points. Minnesota’s 1st is just one of three districts that flipped from blue to red in 2018. Predictions and polls: FiveThirtyEight rated the race as a toss-up on Election Day, with an October 16-20 SurveyUSA poll showing Feehan leading Hagedorn by just 2 points. 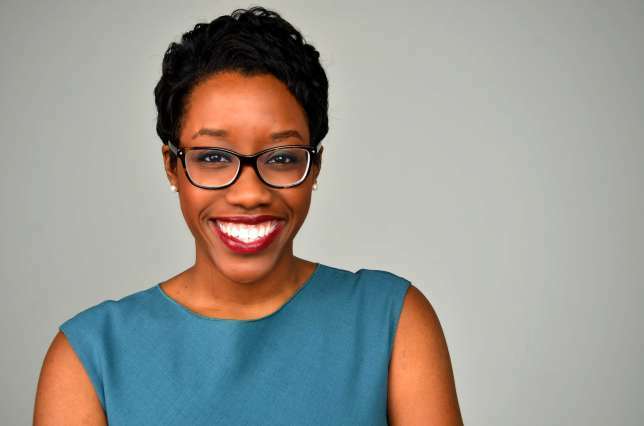 Hill, who is 31 and openly bisexual, described her campaign as “the most millennial ever,” repudiating corporate PAC money and out-raising Knight by more than a 7 to 1 ratio while drawing on her experience in a nonprofit seeking to end homelessness to advocate for issues like affordable housing. The district: The 14th district is located outside of Chicago, and contains a mix of suburban and rural communities. It’s Cook PVI is R+5, and Trump easily carried it by 4 points in 2016. Xochitil Torres Small, a Democratic candidate for Congress, speaks to voters at a an event in Las Cruces, N.M. The candidates: State Rep. Yvette Herrell has served four terms in the New Mexico state legislature, and was one of the body’s most conservative members. 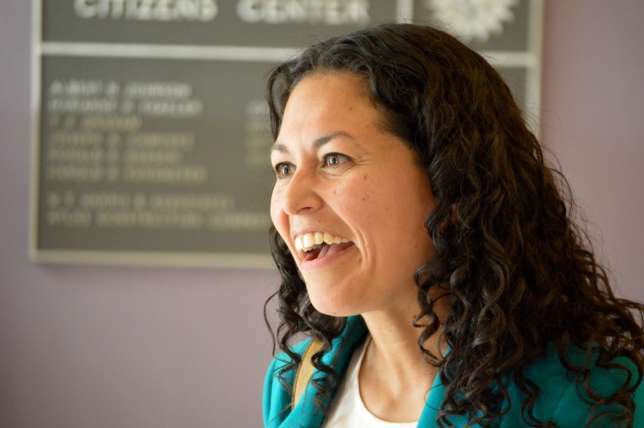 Xochitil Torres-Small is a water-rights attorney and former aide to Sen. Tom Udall, who touted her experience helping bring universal broadband and cell service to rural residents in the 2nd district. The district: One of the largest districts in the country, New Mexico’s 2nd is comprised of the entire lower half of the state, including the cities of Las Cruces and Roswell, and vast swaths of oil country. It’s an R+6 district which Trump easily carried by 11 points in 2016. Predictions and polls: FiveThirtyEight rated the race as a tossup, with an October 19-23 NYT/Siena College poll giving Herrell an 11-point lead over Torres-Small, but more recent polls showing a smaller margin. But Torres-Small beat the odds to narrowly defeat Herrell in a traditionally red district. 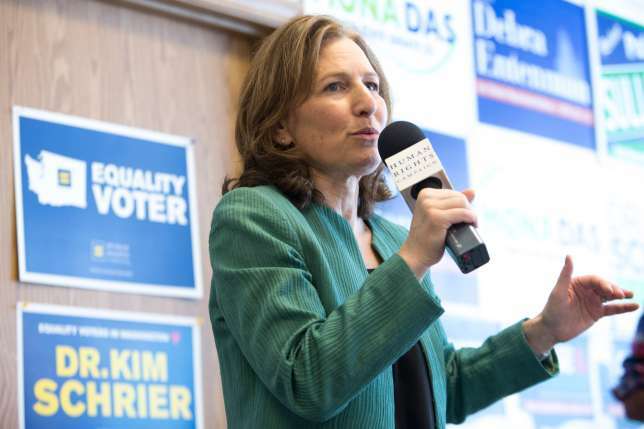 Kim Schrier, running for U.S. Congress in Washington’s 8th District, speaks during a canvasing kick-off event at a Human Rights Campaign phone bank for Schrier, on October 30, 2018, in Auburn, Washington. Pediatrician Kim Schrier has no prior political experience, but toppled another Democratic candidate in the primary by less than one point to further her campaign, which champions health care reform. Predictions and polls: FiveThirtyEight cast the 8th as “leans Democratic,” giving Schrier a 5 in 7 chance of winning. An October 30-November 1 NYT/Siena College poll placed Schrier and Rossi in a dead heat, with 45% of voters indicating an intent to vote for each. The candidates: Incumbent Karen Handel was elected to the 6th district in a hotly-contested July 2017 special election against Jon Ossoff which drew nationwide attention and record fundraising. 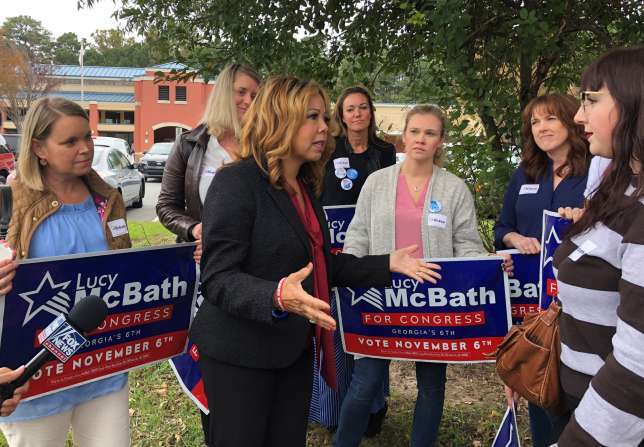 Her opponent this time around was Lucy McBath, a former flight attendant who became a gun reform advocate and decided to run for office after her son died from gun violence in 2012. The district: Georgia’s 6th district is located in the Atlanta suburbs. It’s Cook PVI is R+8. Despite the District’s Republican lean, McBath managed to secure victory by a 1-point margin and flip the district, which has been previously represented by Newt Gingrich for 20 years, blue. Predictions and polls: FiveThirtyEight’s deluxe forecast rated the race as a tossup the day of the election. An Oct. 28-Nov. 4th Siena College/NYT poll placed McBath two points ahead of Handel. 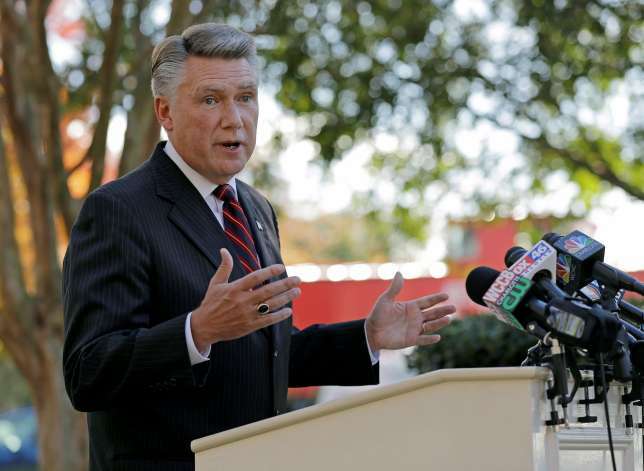 The candidates: Pastor Mark Harris beat former Rep. 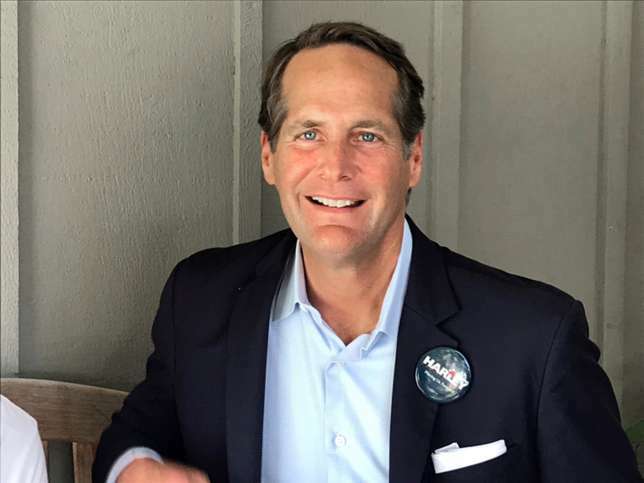 Rob Pittinger in the May 2018 Republican primary to become the party’s nominee. Harris kept the seat in Republican hands in the general, narrowly defeating Democratic nominee Dan McCready, a Marine Corps veteran and Harvard Business School graduate who conceded on Wednesday Nov 7. Neither candidates previously held elected office. The district: The 9th occupies a large part of south-central North Carolina along the border and includes a large Native American population, support which both candidates hoped to secure. It’s Cook PVI is R+8. Predictions and polls: FiveThirtyEight rated the race as a tossup on the day of the election. An Oct. 26-30th Siena College/NYT poll showed Harris just one point ahead of McReady. 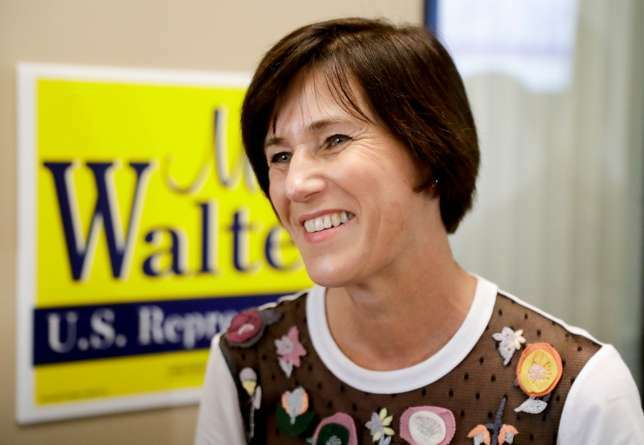 The candidates: Rep. Mimi Walters, a former banker and California state legislator, is serving her second term in Congress. Democratic nominee Katie Porter is a consumer protection attorney and law professor making her first run for office after a career taking on big banks and predatory lenders. The district: The 45th district lies in Orange County, and includes the cities of Irvine and Anaheim Hills. Like California’s 39th district, it’s home to a sizeable and ever-growing immigrant community. Predictions and polls: FiveThirtyEight rates the race as “lean Democratic,” giving Porter a five in eight chance of winning. A NYT/Siena College poll from October 26-31 shows Porter leading Walters by two points. As of Thursday, Walters led Porter 51.7% to 48.3%. In this Tuesday, May 1, 2018, photo, Andy Kim poses for a portrait in Bordentown, N.J. The candidates: Republican Rep. Tom MacArthur has served New Jersey’s 3rd district in Congress since 2014 and is a reliable Trump ally, voting with the President 92% of the time. He drew significant criticism from his constituents for playing a leading role in the GOP’s summer 2017 attempt to repeal the Affordable Care Act. 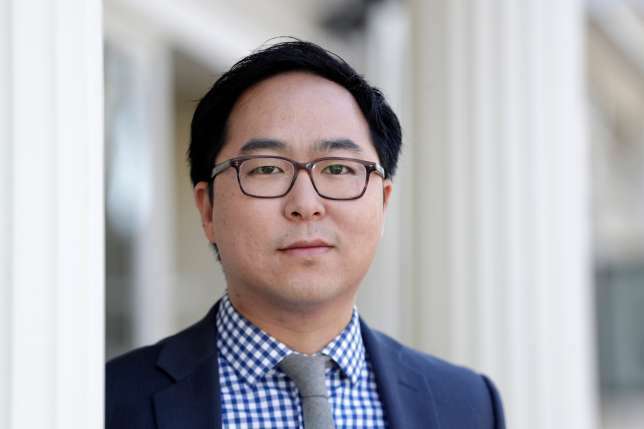 Andy Kim, the Democratic nominee, served in the US Army as a strategic advisor to Gen. David Petraeus in Afghanistan and directed Iraq initiatives for the National Security Council under President Obama. He’s leading by a razor-thin margin in the vote count. If Kim prevails, the 3rd district will be one of 4 New Jersey congressional districts to flip from red to blue in 2018, bringing their 12-member House delegation from five Republicans in the 115th Congress to just one in the 116th. The district: New Jersey’s 3rd occupies a large, mainly suburban chunk of South Jersey. An R+2 district, the 3rd district went for Obama in 2008 and 2012, but Trump carried it by a six-point margin in the 2016 election. 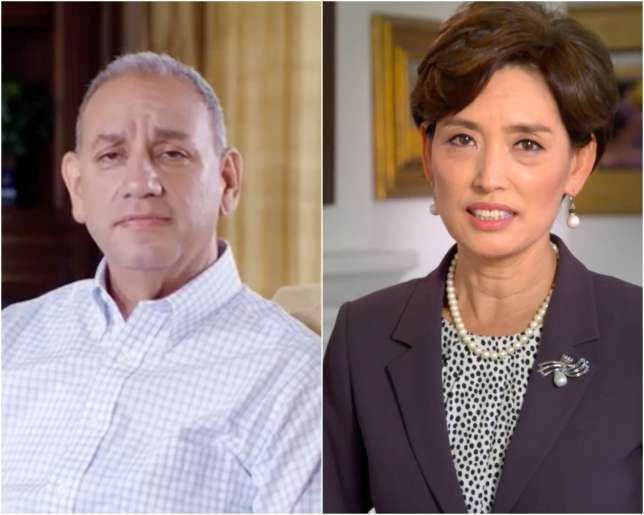 The candidates: Republican Young Kim, a former California State Assemblywoman and constituent liaison for former Rep. Ed Rocye is narrowly leading Democrat Gil Cisneros, a multimillionaire philanthropist and Navy veteran who had not previously held elected office. The district: The 39th district, which includes parts of Orange, Los Angeles, and San Bernandido counties, has an even Cook Political Report PVI, meaning it leans neither Democratic or Republican. It voted for Mitt Romney in 2012, but flipped to Hillary Clinton in 2016. The 39th is heavily diverse, with approximately a third of residents identifying as Latino/Hispanic and another third identifying as Asian-American. The predictions & polls: The race was rated a toss-up by FiveThirtyEight’s deluxe model the day of the election. An Oct 18-23 Siena College/NYT poll showed Cisneros just one point ahead of Kim. Harley Rouda, a Democratic candidate for Congress in the 48th District in Orange County, poses during interviews in Newport Beach, Calif. The candidates: Republican Rep. Dana Rohrabacher has represented Orange County in Congress since 1989. Dubbed “Putin’s favorite congressman” by his critics, Rohrabacher has recently been scrutinized by what some say are suspicious connections to Russia. Democrat Harley Rouda is a local entrepreneur, attorney, and philanthropist who has not previously held elected office. He was a registered Republican who regularly donated to GOP candidates until very recently. The district: The 48th district hugs hundreds of miles of pristine coastline in the wealthy Orange County. Orange County has traditionally been a reliable Republican stronghold with a R+4 Cook PVI, but the 48th district voted for Clinton by just two percentage points in 2016. Predictions and polls: FiveThirtyEight rated the race in the 48th as ‘lean Democratic,’ on Election Day giving Rouda a slim advantage. An October 17-21 Monmouth University poll shows Rouda trailing Rohrabacher by just two points. 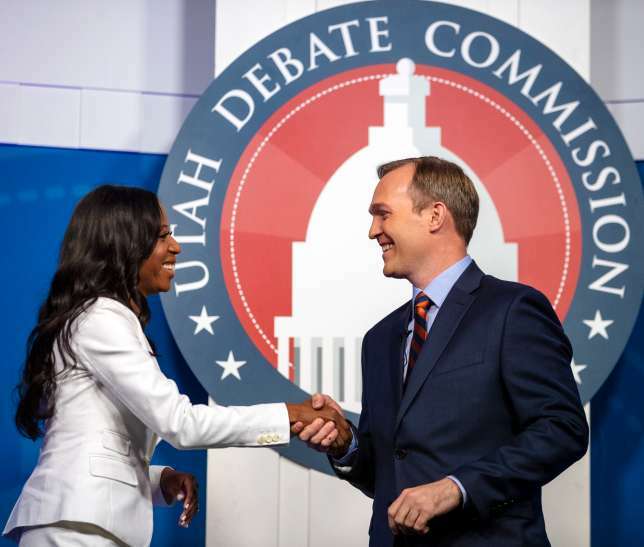 U.S. Rep. Mia Love and Salt Lake County Mayor Ben McAdams shake hands as they take part in a debate at the Gail Miller Conference Center at Salt Lake Community College on Monday, Oct. 15, 2018, in Sandy, Utah, as the two battle for Utah’s 4th Congressional District. 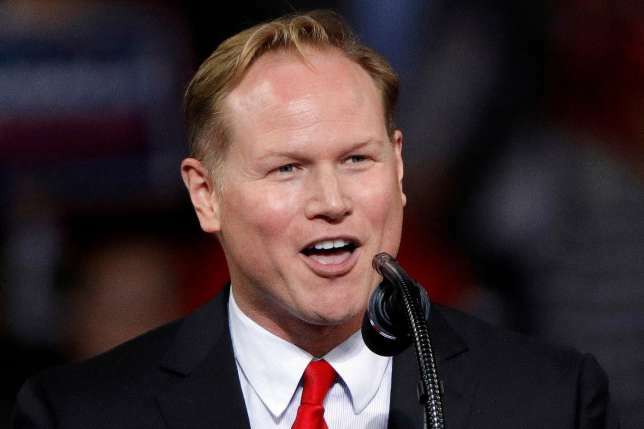 Ben McAdams is the current Salt Lake County Mayor and attorney who previously practiced at the white shoe law firm Davis Polk and Hardwell before serving as a Utah State Senator from 2009-2013 and Salt Lake County Mayor. The district: Utah’s 4th district includes some of the suburbs of Salt Lake City and stretches south. The district, created after a 2010 redistricting, is rated R+13 by the Cook Political Report, but was represented by a Democrat from 2012 to 2014. Predictions and polls: FiveThirtyEight’s deluxe model rated the race as a toss-up. Two recent polls from the New York Times/Siena College and the University of Utah/Salt Lake Tribune place Love and McAdams in a dead heat, while an October 26 Dixie Strategies poll gives McAdams a 6-point lead. 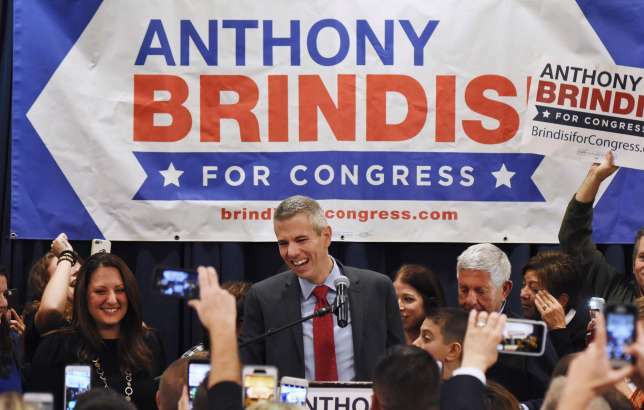 Democratic State Assemblyman Anthony Brindisi considered running in 2016 but is now narrowly leading to defeat his former assembly colleague. Brindisi is a Utica native who served on the School Board and has bipartisan backing. The district: The 22nd encompasses a chunk of central New York, and includes the cities of Utica, Binghamton, and Cortland. President Donald Trump won 55 percent of the 2016 vote in the district, which the Cook Report rates as a R+6. 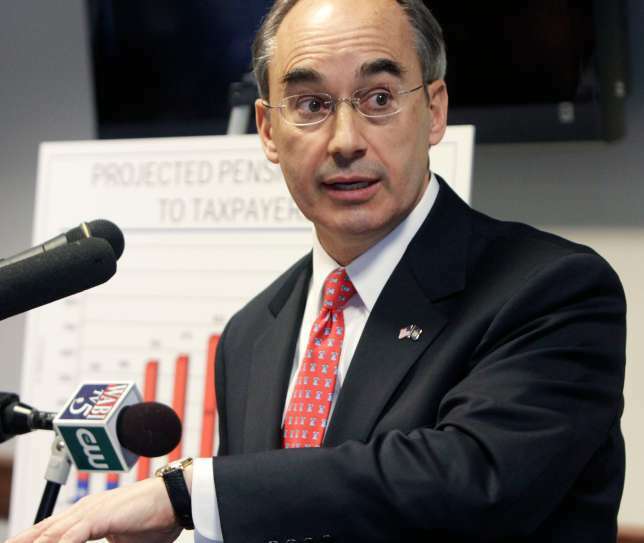 The candidates: Republican Rep. Bruce Poliquin is leading Maine state representative, majority whip, and Marine Corps veteran Jared Golden by just 0.4% in his bid to serve a third term representing Maine’s 2nd district. The district: The largest congressional district east of the Mississippi River, Maine’s 2nd district encompasses 80% of the state. 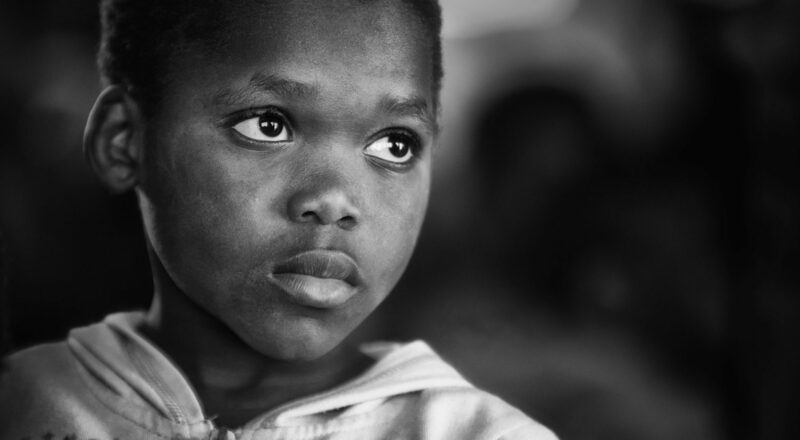 It’s largely rural and working-class, with a tradition of strong organized labor. The 2nd district’s Cook Political Voting Index (PVI) is R+2, and Trump carried it in 2016 by a margin of seven percentage points, 51% to 44%. Next PostNext If Kansas and Missouri voters sent a message in the midterms, what was it?